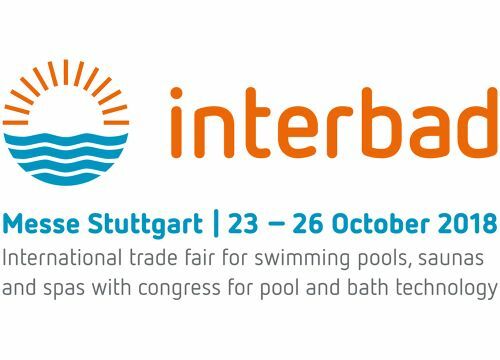 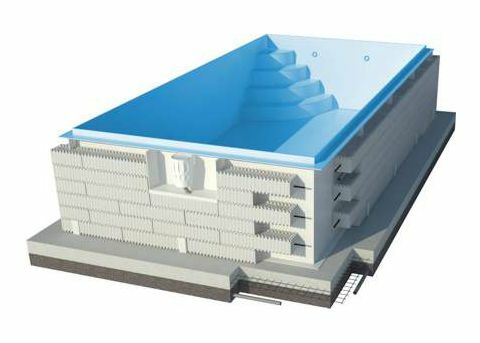 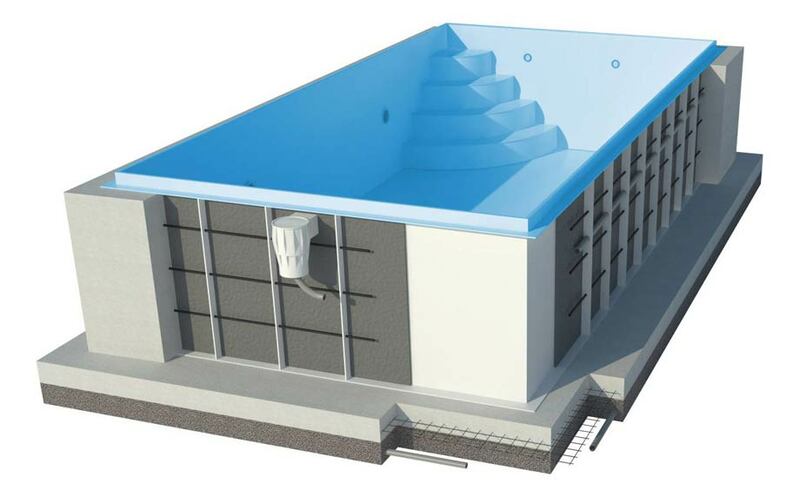 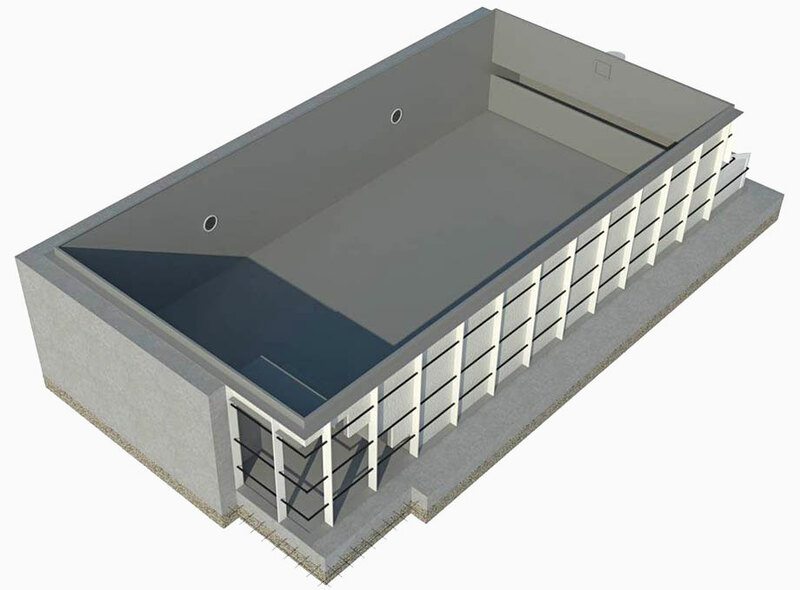 Technical Information | Pool Enclosures - Diamant Unipool s.r.o. 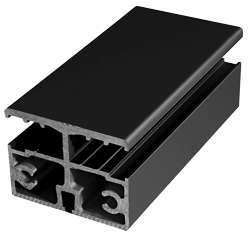 For the enclosure construction, we use profiles of aluminium alloy. 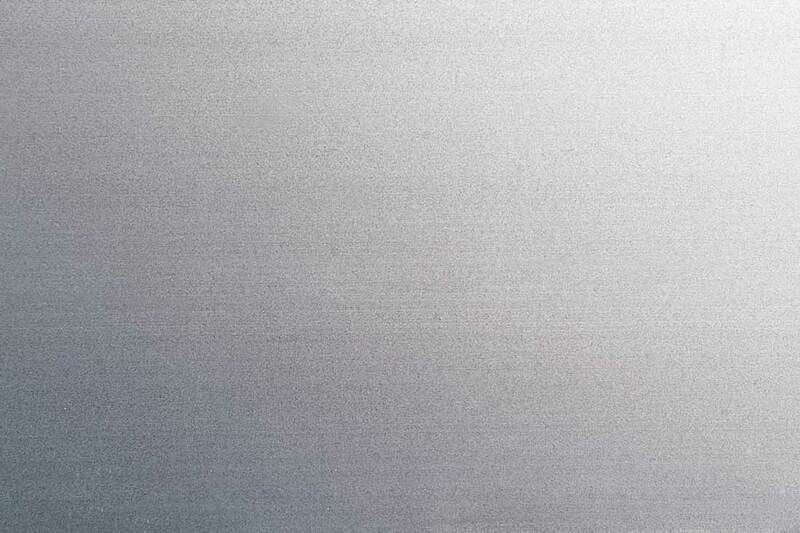 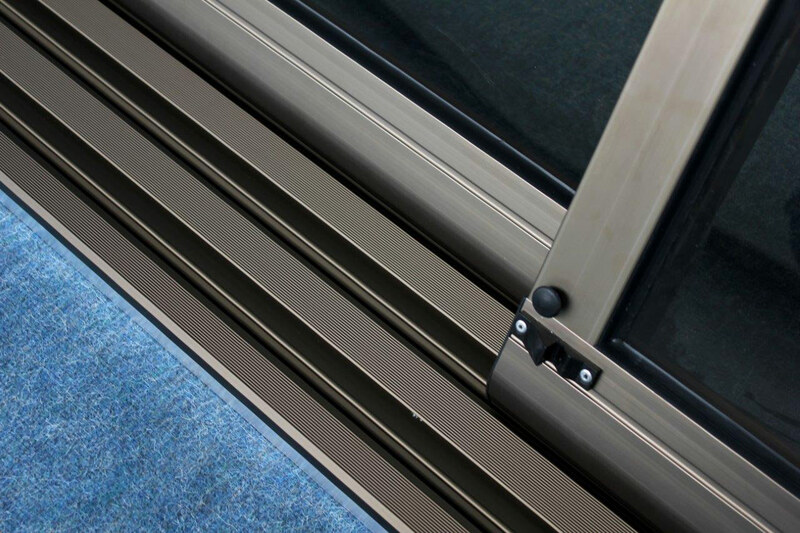 We offer a range of colour options and surface finishes. 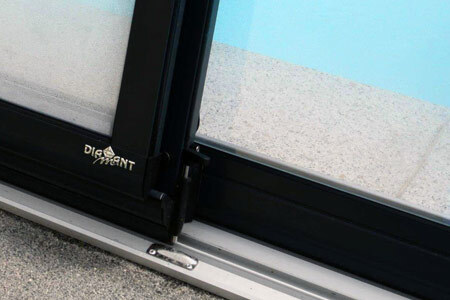 In terms of construction strength, DIAMANT enclosures are guaranteed to endure any weather conditions. 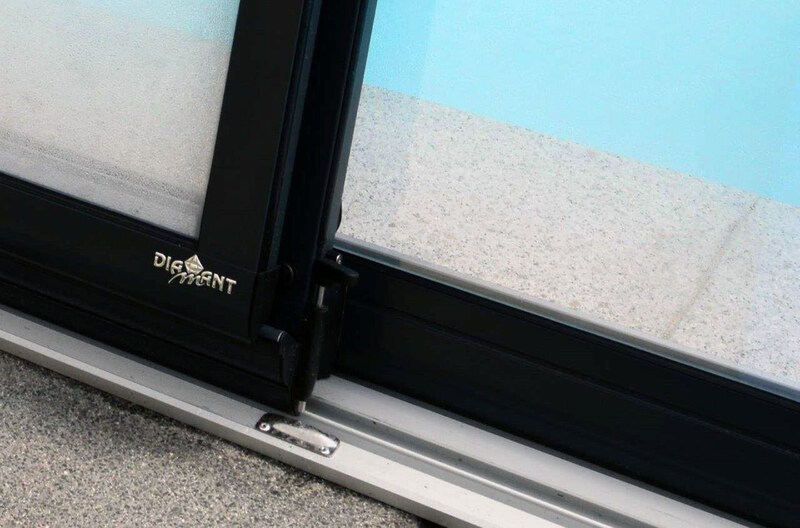 Unlike the enclosures made of solid/thin-walled profiles offered by the competition, Diamant’s high-strength enclosures will pay off especially in winter months when it is necessary to prevent the enclosure from accumulating snow and thus damaging in shape and functionality under its weight. 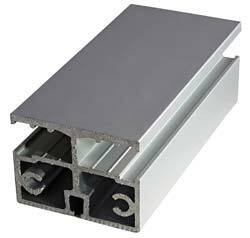 The Diamant enclosures are made of thick-walled profiles; the construction is therefore stronger and its bearing capacity is greater. 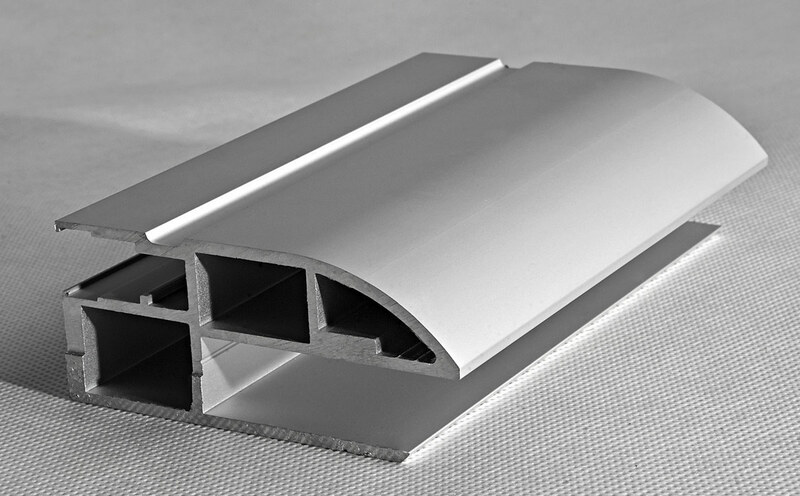 A profile bent into individual arches which then bear the construction. 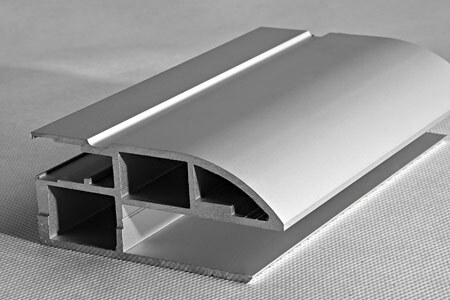 A main profile connecting individual beams with one another. 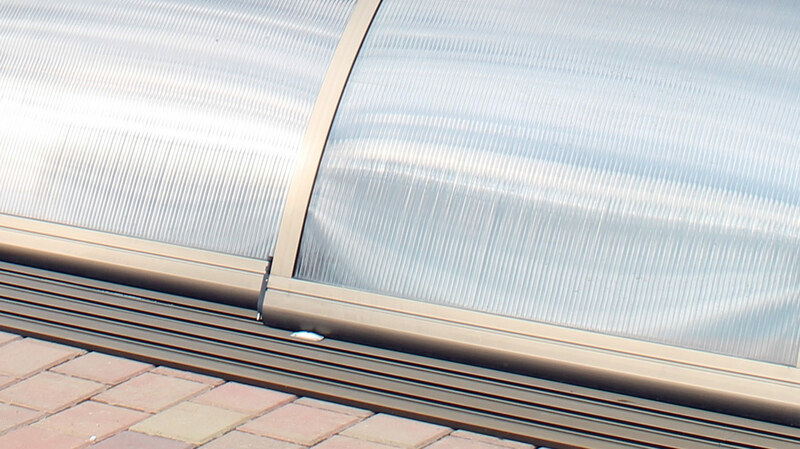 This profile also contains wheels and safety metal sheets preventing the wheels from derailing. 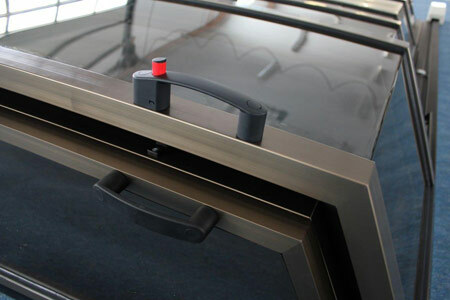 The rails are made of anodised aluminium alloy either in silver or champagne. 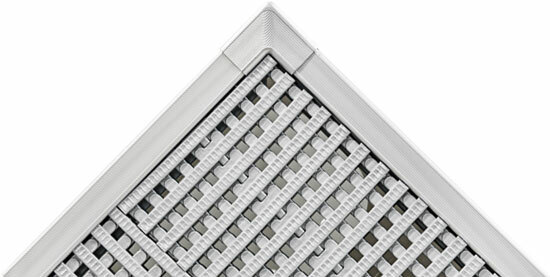 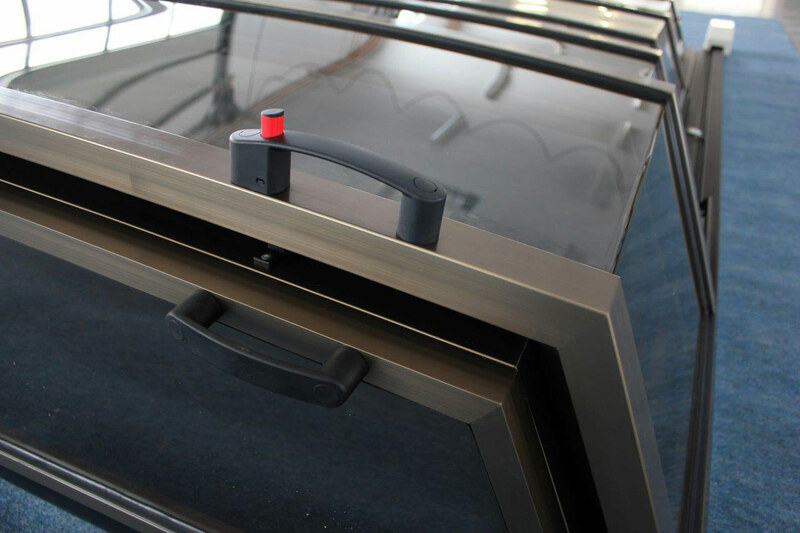 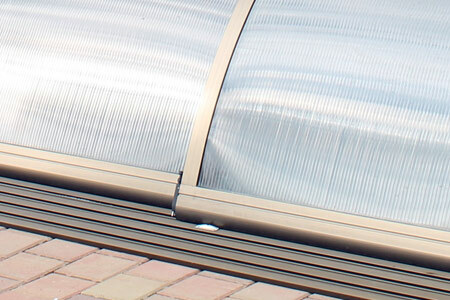 We also offer the rails in the lux design – low, anti-slip, accessible with height of 15 mm. 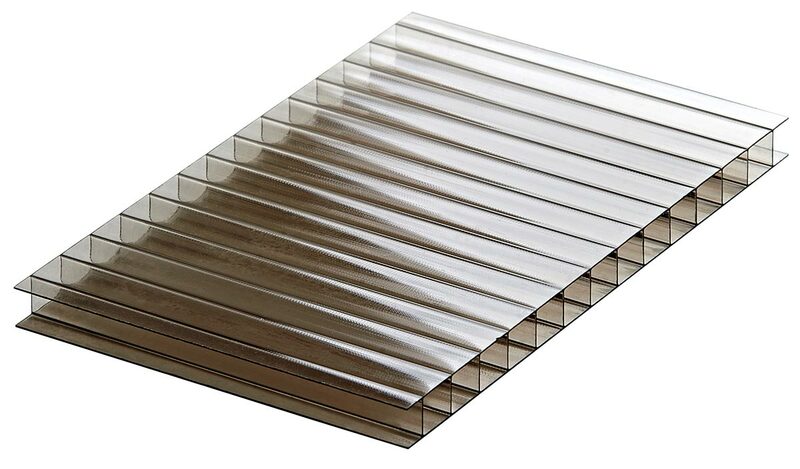 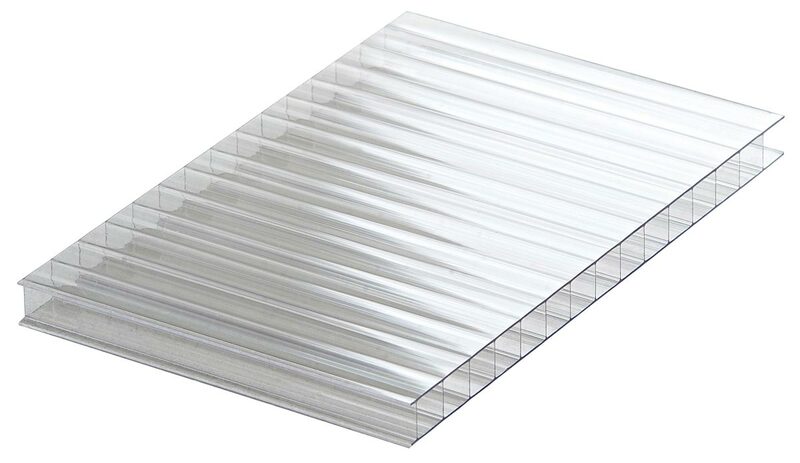 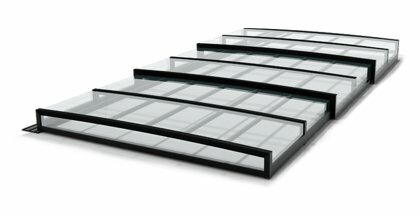 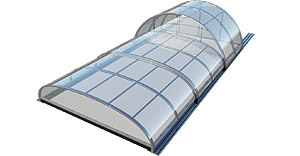 We mainly use 10 mm polycarbonate for the panelling of the entire enclosure including the front parts and doors. 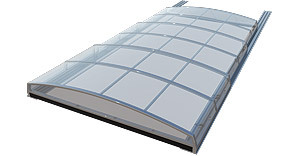 It is a unicameral transparent polycarbonate with a double UV stabilisation against UV radiation. 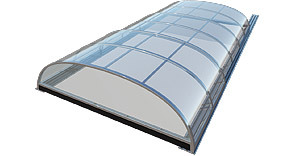 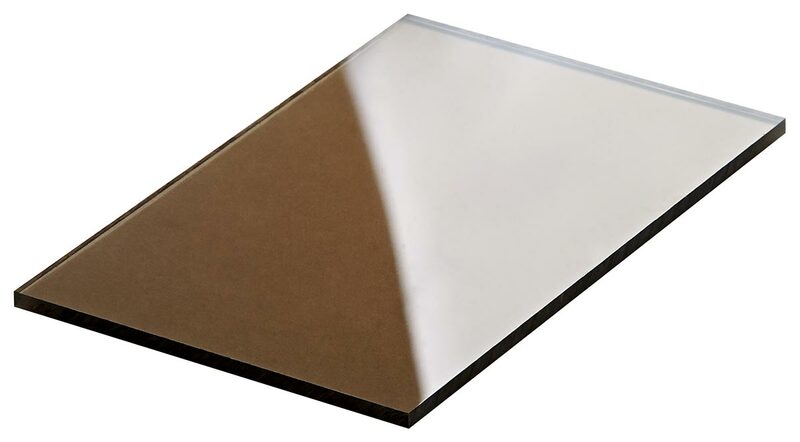 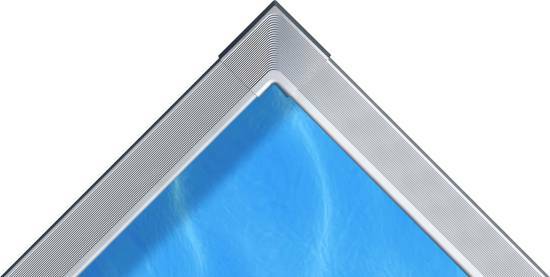 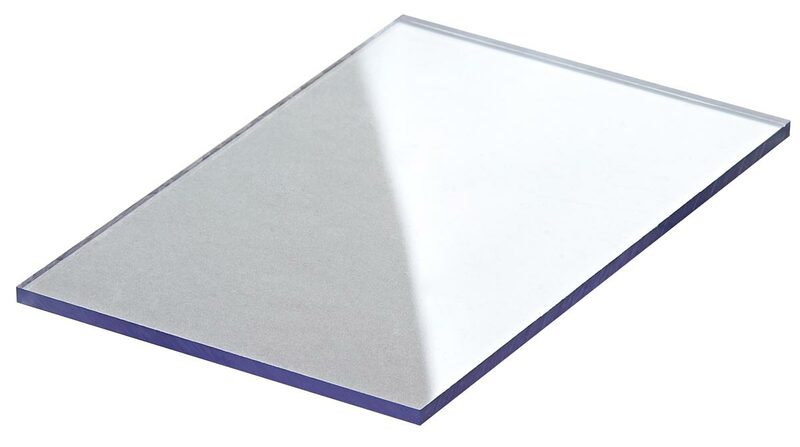 The second alternative is a 4 mm solid transparent polycarbonate with double UV stabilisation. 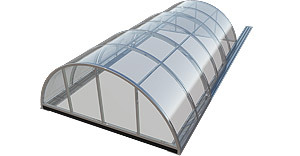 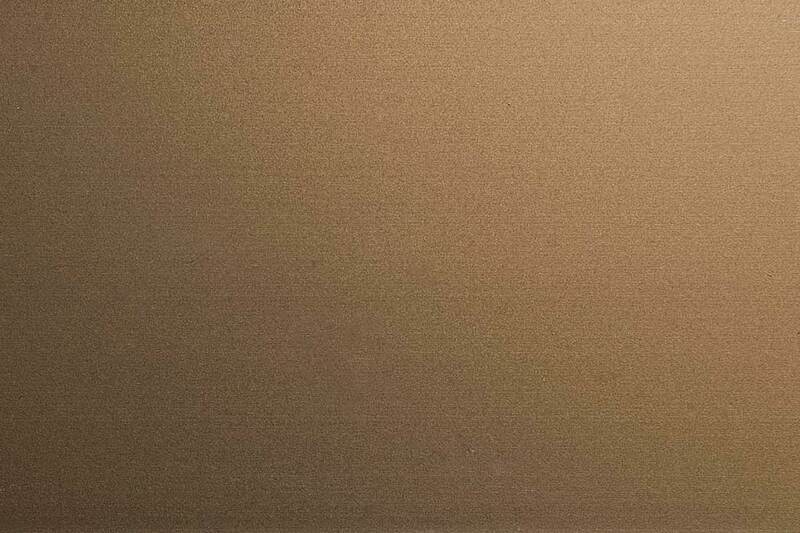 We offer both alternatives in two colour options, standard is transparent and smoked option is extra.